Charlotte Foust graduated from the University of North Carolina, Charlotte with a Bachelor Degree in Art, and early in her career was awarded an Emerging Artist Grant from the Arts and Science Council. Her work is widely collected in the United States and her paintings have been included in exhibits at the Mint Museum of Art , the Levine Museum of the New South, and the McColl center for Visual Art. 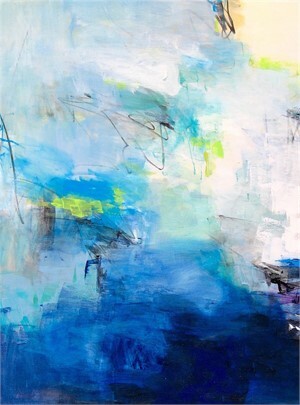 A native of North Carolina, Charlotte Foust received her Bachelor’s Degree of Fine Art from the University of North Carolina, Charlotte. Her work has been included in exhibits across the country including shows in New York, Atlanta, Boston, Chicago and Santa Fe. 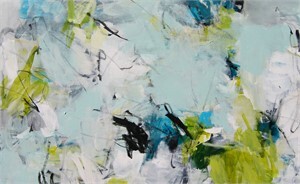 Charlotte is a full time artist and maintains a studio in North Carolina. ARTIST STATEMENT - "I choose to create non-­-objective paintings because I find the creative process to be honest and satisfying. A single mark or line on a blank surface provides a starting point for an intuitive exploration of the visual language found in abstraction. Working in mixed media: graphite, acrylic and collage, allows me to layer and rework textured surfaces – with each painting resulting in a delightful discovery of things unseen. "